Table Tennis League is an iPhone game that bills itself as “the most realistic 3D Ping-Pong game that you can find in the App Store.” Developed by Ferran Tebe, this table tennis game is truly challenging…but that’s what makes it fun! 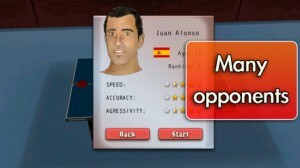 There’s a definite learning curve with Table Tennis League: mastering the art of the control system is tricky. You want to use long, smooth strokes to launch and return the ball. Both strength and speed are needed to return a volley cleanly. One thing that I really like is the way that single-player mode gets livened up by portraying the computer opponents as one of several different characters. Each character gets a name, character image, and a unique set of attributes that determine their abilities in the game. It’s much better than playing against a faceless computer opponent. That being said, if you hate playing alone, there are options for multiplayer mode as well. Multiplayer mode is available to you though either Game Center or Bluetooth. Brand new apps always a have kinks that need to be worked out. 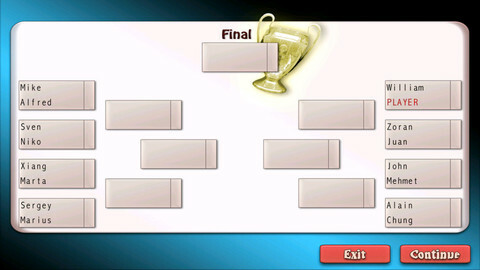 Table Tennis League may be a newly-realeased app that’s still on Version 1.0, but it is remarkably bug-free! True, there’s a small issue with how letters are displayed in a player’s name, but that hardly impacts one’s enjoyment of the game! 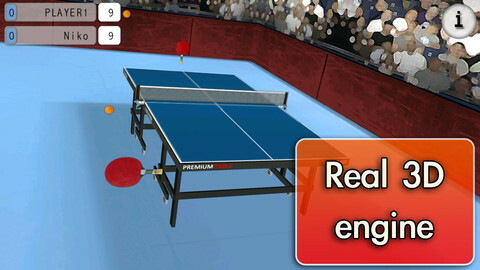 Between the realistic game engine and the solid graphics, it is hard to find fault with Table Tennis League. 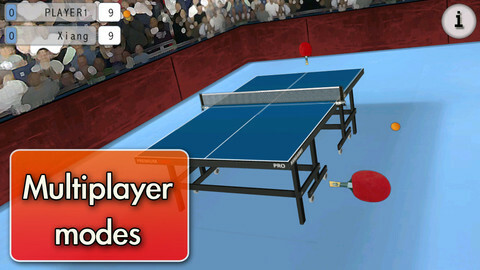 While it has a very steep learning curve, Table Tennis League is an immensely rewarding, challenging, and amusing game for players who stick with it. If you love ping pong, check it out! Table Tennis Leagueis compatible with iPhone 3GS, iPhone 4, iPhone 4S, iPhone 5, iPod touch (3rd generation), iPod touch (4th generation), iPod touch (5th generation) and iPad. Requires iOS 4.3 or later. This app is optimized for iPhone 5.